WaterSense recently announced its intent to modify its specifications for certification programs for irrigation professionals and the WaterSense irrigation professional partnership. The notification of intent outlines EPA's evaluation of the benefits and challenges associated with the existing irrigation partnership program, its experience in running the certification program, and its desire to expand the program's scope to attain additional water savings. The outlined intended revisions are two-fold: development of a consolidated and common set of general requirements that will apply to all professional certifying organizations and removal of the individual irrigation partnership designation to allow the benefits of partnership to extend to all professionals certified by WaterSense labeled programs. WaterSense is soliciting input from stakeholders who would like to provide comment on the Agency's proposal. RECRUITMENT NOTICE Administrative Operations Manager 2 – Environmental Science Position # 00012091 POLLUTION PREVENTION SECTION GROUND WATER QUALITY BUREAU NEW MEXICO ENVIRONMENT DEPARTMENT The New Mexico Environment Department (NMED) is advertising an Administrative Operations Manager 2 – Environmental Science position (#00012091) in the Pollution Prevention Section of the Ground Water Quality Bureau. The position advertisement is posted on the NM State Personnel Office website, http://agency.governmentjobs.com/newmexico/default.cfm. The closing date for the position is October 25, 2012. The position is the Program manager for the Ground Water Quality Bureau’s permitting program. The position is responsible for managing up to 22 staff on the development and enforcement of ground water discharge permits in accordance with the Water Quality Act and Water Quality Control Commission Regulations. The position develops proposed language for new regulations or revisions of existing regulations and provides technical testimony in permit and rulemaking hearings. The salary range for this position is typically $37.35 (midpoint) to $47.80 (max) per hour (Pay Band 90) depending on job duties and experience. If you have questions regarding the position, contact Jerry Schoeppner at 827-2919. Please post or share this information with others who may be interested in this position. The Tamarisk Coalition, a non-profit alliance working to restore riparian lands, has launched a new website called the Riparian Restoration Connection. Its goal is to create a central hub for the riparian restoration community to exchange resources, share ideas, ask questions, and get the information needed to help facilitate riparian restoration efforts. The purpose of this guide is to provide a general foundation for the reader in several interrelated disciplines for the purpose of enabling him/her to characterize and quantify the water needs of riparian and wetland vegetation. Topics discussed are wetland and riparian classification, characteristics and ecology, surface and groundwater hydrology, plant physiology and population and community ecology, and techniques for linking attributes of vegetation to patterns of surface and groundwater and soil moisture. Rocky Mountain Research Station Online Publication. This assessment uses SAVS, an assessment tool based on ecological principals, to rank individual species of interest within the eastern portion of the Barry M. Goldwater Range, Arizona, according to predicted climate change responses and associated population declines balanced with responses expected to incur resilience or population increases. Rocky Mountain Research Station Online Publication. This volume reviews existing climate models that predict species and vegetation changes in the western United States, and it synthesizes knowledge about climate change impacts on the native fauna and flora of grasslands, shrublands and deserts of the interior American West. Rocky Mountain Research Station Online Publication. Goals of the project include identifying work being done by tribes in Arizona and New Mexico on climate change, assessing their climate change research and information needs, making tribes aware of resources and opportunities that might assist them in their work, and sharing research results of the project with tribes, the USFS and other agencies. This position provides professional expertise and leadership to manage the state-of-the-art Buckman Direct Diversion (BDD) facilities, co-owned by the City of Santa Fe and Santa Fe County; and is responsible for the production of drinking water that is compliant with applicable local, state and federal regulations, meets the demands of the City of Santa Fe and Santa Fe County, and optimizes facility operations. Must pass the applicable BDD certification in all key areas of competency within one year of hire for continued employment with the BDD. Talking Talons Youth Leadership (TTYL) specializes in connecting youth with the natural world by offering educational programs that give participants an up-close and personal experience with rescued live birds of prey, bats, reptiles, and wilderness environments. The New Mexico Environment Department requests public comment on a proposal to amend surface water quality standards for Nichols and McClure Reservoirs and the Santa Fe River from Nichols Reservoir to Cochiti Pueblo. The public comment period will close on September 28, 2012. What's New for River Restoration in NM? The River Ecosystem Restoration Initiative Reports on developments in river restoration in New Mexico. During the early part of the 20th century, the Pecos River had been channelized to create ponds that would attract waterfowl. Barricaded behind a wall of invasive salt cedar, the Pecos had also become disconnected from the plains through which it flows. There's a movement afoot in the acequia community to keep water flowing for traditional uses. While it doesn't necessarily relate to environmental flows, the environmental community may find inspiration-or at the very least, better understand rural communities, the challenges they face, and their attempts at protecting the waters flowing through acequias and ditches. A businessman and former state legislator, Albuquerque Mayor Richard J. Berry may seem an unlikely advocate for the Rio Grande. But with a new proposal in hand-and a personal commitment to make the river a part of his daily life-the Republican mayor is making waves. Two decades ago, the San Juan River Basin Recovery Implementation Program was established to recover two endangered fish, the Colorado pikeminnow and razorback sucker, in the San Juan River and its tributaries in Colorado, New Mexico, and Utah. Today, a diverse group of partners is working toward that goal. Experience your America and build a fulfilling career by joining the National Park Service. Become a part of our mission to unite our past, our cultures and our special places, to establish important connections to the present and build a rich and lasting legacy for future generations. The New Mexico Climate Center is located on the campus of New Mexico State Univerity. The center operates a small network of weather stations across the state and gathers data from other mesonets. ENVIRONMENTAL SCIENTIST AND SPECIALIST – A Position #00037087 MINING ENVIRONMENTAL COMPLIANCE SECTION GROUND WATER QUALITY BUREAU NEW MEXICO ENVIRONMENT DEPARTMENT The New Mexico Environment Department (NMED) anticipates advertisement of a vacant Environmental Scientist and Specialist-A position (#00037087) in the Mining Environmental Compliance Section of the Ground Water Quality Bureau in July-August 2012. The position advertisement will be posted on the NM State Personnel Office website,http://agency.governmentjobs.com/newmexico/default.cfm in the near future. The position is a senior staff scientist responsible for managing a technically complex discharge permit caseload for hardrock mining operations and review of New Mexico Mining Act sites. The position involves coordination with federal and state agencies on mine permitting procedures; developing, conducting and reporting on scientific geohydrologic site investigations; review and comment on Mining Act applications; review and approval of ground water pollution prevention plans, abatement plans, and corrective action plans; drafting discharge permits; and conducting site inspections. The position is responsible for assessing whether facilities are in compliance with the NM Water Quality Act and Water Quality Control Commission Regulations; NM Mining Act; and other state and federal statutes, standards and regulations. The salary range for this position is typically $25.50 (midpoint) to $32.63 (max) per hour depending on job duties and experience. If you are interested in applying or know of someone who may be interested, please send e-mail contact information to Dale Doremus so that we can send the official job advertisement to you directly when it is posted at the NM-SPO website [http://agency.governmentjobs.com/newmexico/default.cfm]. CoCoRaHS is a grassroots volunteer network of backyard weather observers of all ages and backgrounds working together to measure and map precipitation (rain, hail and snow) in their local communities. By using low-cost measurement tools, stressing training and education, and utilizing an interactive Web-site, our aim is to provide the highest quality data for natural resource, education and research applications. A workshop, Establishing A Community Tree Program, will be offered on the University of New Mexico campus in Albuquerque. The goal of the four-hour workshop is to empower communities to implement a tree management plan and care for their community trees. Save the Date flier for Audobon's 2012 Southwest Women in Conservation conference. Quvira Coalition Newsletter featuring events and upcoming opportunities in the community. This position functions as the Field Manager (District Forester) for the Capitan District of the Energy Minerals and Natural Resources Department (EMNRD)- Forestry Division. The District is comprised of 8,591,874 acres of private, non-federal and non-municipal lands in Otero, Lincoln, Chaves, DeBaca, Roosevelt, Lea and Eddy counties. The position supervises the implementation of all forestry programs to include the Smokey Bear Historical Park, fire management, forest and watershed health management, timber harvesting regulations, service forestry and all administrative activities on the district. The position participates with other groups and agencies with similar objectives and authorities to allocate resources across jurisdictional boundaries to achieve forest and watershed health and communities that are more defensible from wildland fire and insect and disease epidemics. The position is also responsible for maintaining compliance with governmental standards and business philosophies such as department and division policies, the state procurement code, contract management, supervision and federal codes relating to the delivery of federal programs. Unprecedented study relies on more than 1,500 years of tree-ring data and hundreds of years of fire-scar records gathered from Ponderosa Pine forests. Many 303(d)-listed waters are impacted by changes in natural hydrology associated with urbanization. This factsheet describes how Total Maximum Daily Loads (TMDLs) and TMDL implementation plans (IPs) can address the hydrological factors that contribute to impairments by including green infrastructure. The Green Infrastructure Permitting and Enforcement Series provides EPA and state permitting and enforcement professionals with a guide to integrating green infrastructure approaches into NPDES wet weather programs. The series consists of six factsheets and four supplements addressing general accountability considerations; CSOs; SSOs; stormwater; TMDLs; and water quality standards. The series includes sample language and case studies to illustrate the concepts discussed. Green infrastructure can reduce the volume of stormwater entering combined sewer systems during precipitation events, which may reduce numbers and volumes of overflows. This factsheet addresses the evaluation of green infrastructure approaches for CSO control, the identification of quantitative implementation targets, and the incorporation of green infrastructure approaches into Long Term Control Plans. This supplement to Factsheet 5 summarizes two recent TMDLS that address flow, hydrology, and green infrastructure. This supplement to Factsheet 2 summarizes the features of 19 models that can be used to predict the performance and/or cost of green infrastructure approaches. This supplement to Factsheet 2 provides an excerpt from the 2010 settlement with the Northeast Ohio Regional Sewer District (NEORSD) to address the flow of untreated sewage into Cleveland waterways and Lake Erie. This supplement to Factsheet 2 summarizes the green infrastructure provisions in seven CSO consent decrees entered since 2003. Water quality standards include designated uses, water quality criteria, and an antidegradation policy and implementation procedures. This factsheet describes how green infrastructure approaches can be considered as part of an Antidegradation Review or Use Attainability Analysis. Much of the aquatic ecosystem degradation associated with stormwater is caused by changes in discharge volumes, rates, and durations. This factsheet discusses how green infrastructure can be integrated into stormwater permits to maintain more natural flow regimes. Depending on the causes of SSOs for a particular system, green infrastructure approaches may be used in conjunction with grey infrastructure improvements and capacity, management, operations and maintenance (CMOM) to help eliminate SSOs. This factsheet discusses how green infrastructure approaches may be integrated into CMOM plans and CSO consent decrees. Accountability considerations are important in all actions involving permits or enforcement orders, regardless of the approaches used to achieve compliance with established standards. This factsheet discusses six accountability mechanisms that may be applied to permits or enforcement actions that include green infrastructure. The U.S. Environmental Protection Agency (EPA) and the U.S. Department of Veterans Affairs (VA) have announced a plan to connect veterans with disabilities to career opportunities in the water and wastewater sectors—such as at wastewater plants and drinking water facilities—as part of EPA’s Water Sector Workforce Initiative. EPA and the VA will work with water utilities, states and local VA counselors to promote water sector careers and resources for finding water jobs for veterans as well as educational programs to help veterans transition into careers in water industries. More than one-third of all current water operators are eligible to retire within seven years and, according to the U.S. Department of Labor, employment for water and wastewater operators is expected to grow by 20% between 2008 and 2018, faster than the national average for all other occupations. "Examining the Effects of Responsible Forest Management on Watershed Health" Technical Symposium Videos Now Available Online - May 29th The symposium, co-hosted by SAF, the American Forest Foundation, the Environmental Law Institute, the National Alliance of Forest Owners, Plum Creek, the US Forest Service, and Southern Lumber Manufacturers Association, featured keynote speaker Honorable Benjamin H. Grumbles (President, Clean Water America Alliance), and administrative, legal, and scientific panels in exploring forest connections to the Clean Water Act. Videos of each of the panels, along with the keynote address, can be found at this link. Funding opportunity number R12SF80035. Applications are due by 4 p.m. MDT, July 9. 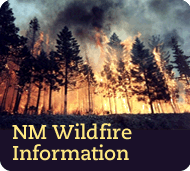 The New Mexico Energy, Minerals and Natural Resources Department (EMNRD), Forestry Division (Division) is requesting proposals from governmental entities that are surrounded by hazardous forest fuels that pose a threat in the event of a wildland fire for the planning and implementation of hazardous fuels mitigation projects that will reduce the fire threat in Wildland Urban Interface (WUI) areas in New Mexico. Funding will be awarded through a competitive process administered by the Western Wildland Fire Protection Committee (WWFPC), with emphasis on hazardous fuel reduction, information and education, and community and homeowner action. The Division plans to award multiple contracts as a result of this Request for Proposals (RFP). Article discusses some of the impacts of climate change on tribes. The Confederated Tribes of Siletz Indians, located on the Oregon coast, have created an innovative renewable energy program. The Siletz Tribal Planning Department created the Siletz Tribal Energy Program (STEP) through a grant from the Administration for Native Americans in 2009. Much of their work is focused on improving tribal buildings and homes. STEP prioritizes community involvement as a way to increase awareness of tribal members, promote skills-training in the tribal community and promote tribal independence in energy. In 2010, the Karuk Tribe released a draft Eco-Cultural Resources Management Plan to create a long-term adaptation strategy for the protection, enhancement and utilization of cultural and natural resources. The Eco-Cultural Resources Management Plan establishes a framework for considering a wide range of human and environmental stressors to the Karuk Tribe, including climate change. The Santa Fe National Forest is hosting three educational field trips into the Southwest Jemez Mountains Landscape Restoration project area. Field trip dates are: Saturday, June 2; Saturday, June 30; and Saturday, July 14. A funding opportunity announcement (FOA) is out from the Bureau of Reclamation's Cooperative Watershed Management Program to establish or expand a local watershed management group. Applications are due 4 p.m. MDT, July 9, 2012. Applicants may be eligible under two categories through this funding opportunity. One is for the establishment of a watershed group. Eligible applicants are states, Indian tribes, local and special districts (irrigation and water districts, county soil conservation districts, etc. ), local governmental entities, interstate organizations and nonprofit organizations in the western United States or U.S. territory. The second funding category is for the expansion of a watershed group. Eligible applicants must be a current watershed group or a participant in an existing watershed group that is legally incorporated within the state in which it operates and meets the definition of a “watershed” group as defined in the FOA (pg. 3). The New Mexico Environment Department, Surface Water Quality Bureau anticipate advertising two positions soon: Standards, Planning and Reporting Team Manager, and Point Source Regulation Program Manager. The New Mexico Youth Conservation Corps (YCC) announces that it is requesting proposals from New Mexico units of government, state agencies, federal agencies, non-profit organizations, or federally-recognized Native American tribes to fund conservation projects. Applications are due no later than 4:00 p.m. MDT on Thursday, August 2, 2012. Mountain Kids, an outdoor education and adventure program for kids aged 5-9, has an opening for a seasonal outdoor educator in Santa Fe, NM. Reminder: National Forest Foundation has two grant deadlines fast approaching. Deadline is 2/15/12. Webinar on 1/9/12. Handbook and video describing forest access systems for forest activities. Discusses the principles associated with forest road and trail building and illustrates methods for constructing forest roads and skid trails to minimize impacts to water quality. The Water Conservation Field Service Program FOA R12SF40020 is now posted. The Bureau of Reclamation is providing financial assistance for a variety of cooperative activities, demonstration programs and pilot projects to promote and implement improved water management and conservation. A small team was assembled to work with the Apache-Sitgreave National Forest and local partners to assess the effects of the fuel treatments and compile a report with the findings. The report "How Fuel Treatments Saved Homes from the 2011 Wallow Fire" was the product of this effort. Personnel from the Apache-Sitgreaves National Forest and the Southwestern Region Office will talk about the effects of fuel treatments and communities affected by the Wallow Fire. Top-down regional climate patterns result in high spatial fire synchrony among Southwest forests. At landscape scales, however bottom-up (topography) patterns are also important in determining fire history and tree age structure variability. The distinct fire histories from these two study areas provided natural age structure experiments that indicated tree age cohorts occurred during periods of reduced fire frequencies. In some instances these periods were likely caused by climatic variability creating synchronous age cohorts across the region. At other times, extended fire intervals were a function of local topography. Overall, these studies demonstrated that landscape and climatic variations combine to produce complex spatial and temporal variations in fire history and tree age structures. Phoenix-based SRP, the nation's third-largest public power and water utility, is recruiting a Hydrographic Analyst for its Water Measurement Department located in Tempe, AZ. The Minnesota Department of Natural Resources is seeking an experienced executive to lead its Division of Forestry. The role of the Director is to serve as a member of the Senior Management Team of the Department assuring interdisciplinary coordination in forest policy development and implementation to support the DNR mission. Qualified candidates will have successfully managed a large, complex organization; set and implemented a vision and strategic direction; and served as a member of an executive level team. A great collection of water conservation resources for educators. Most links provide access to many more educational tools and websites. EPA is seeking candidates for the Director of its Ground Water and Ecosystem Restoration Division of the National Risk Management Research Lab located in Ada, Oklahoma. This division employs about 100 EPA scientists, staff, and contractors dedicated to conducting applied environmental research.